Nevertheless, I spent Jan. 1 on a plane, headed for St. Petersburg, Fla., because there I had the opportunity to witness the top 69 high school hitters in the United States and nine other countries swinging for the fences in the Third Annual International High School Power Showcase Home Run Derby, held for the second straight year at Tropicana Field. 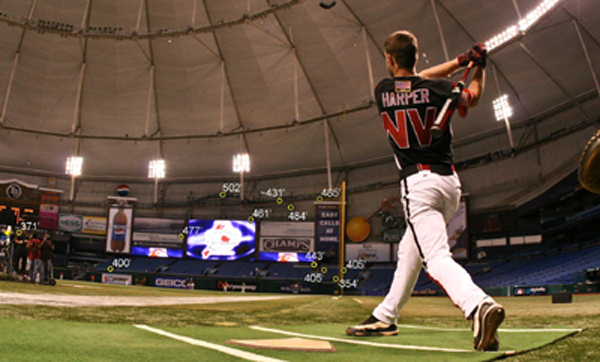 I was invited to provide distance measurements for the home runs hit during the event, using Hit Tracker, and I came away mightily impressed with the talent assembled under the dome in St. Pete. The Showcase is the creation of Brian Domenico, a 35-year-old former professional baseball player now coaching high school ball in Boca Raton, Fla. Domenico organized the first Power Showcase in 2004 as a South Florida event held at Olympic Heights High School in Boca Raton. It was a great success, and the following year the showcase became a statewide Florida tournament, then a regional tournament, then national in December 2006. For the last two years, the Power Showcase has included representatives from the U.S. and several foreign nations. On Friday, Jan. 2, the participants took batting practice and executed running and fielding drills under the instruction of members of the New York Yankees spring training staff at their baseball complex in Tampa. Under sunny skies, and backed by a crisp breeze, a couple of players generated a traffic hazard on nearby Dale Mabry Highway with some long homers. Later, several hitters threatened to make me regret declining the extra insurance on my rental car, which I unwisely parked beyond the left field fence of one of the four practice fields. That evening, the Showcase participants gathered in the Grand Banquet Ballroom of the Bayfront Hilton in St. Petersburg for a formal dinner and the presentation of their uniforms. The dinner began with opening remarks from Showcase President Domenico, who presented a plaque to Van Conway, of Conway MacKenzie and Dunleavy, in appreciation for that firm’s sponsorship of the international Showcase players. Perry Husband from Hitting is a Guess provided a demonstration of its system for video-based analysis of pitch recognition and swing mechanics. Video overlays showed the difference in release points for different pitch types, highlighting the potential value of disguising pitches, or of seeing through the disguise. High-speed video of swings, combined with geometric tools for measuring lines and angles, provided a tool for identifying and optimizing swing characteristics to improve exit speed, or how hard the ball is hit. Linda Ruth Tosetti, granddaughter of Babe Ruth, was the final speaker. She offered her encouragement to the hitters, and described some of her famous grandfather’s ties to the St. Petersburg region. Notable was a long home run Ruth hit during spring training one year that was reported to have traveled more than 600 feet. I can’t offer any confirmation of the distance on Ruth’s homer, but I can attest that when you read about the home runs hit in the Power Showcase, the numbers you read are “how far they really went”! Beginning just before 9 a.m. on Saturday, each of the 69 hitters took his swings in the preliminary round. In groups of three, each player batted off a pitching machine, first with a wooden bat for 10 outs, and after the others in the group had batted, each player batted for 15 outs with a metal bat. Any swing not resulting in a home run counted as an out. After all hitters had taken their turn, the five with the highest number of home runs passed through to the final round for an additional 15 outs with metal bats. It was a long day: Aside from occasional two-minute breaks to replenish baseballs, and a 10-minute break before the finals, the action did not stop for more than 12 hours! Preston Overbey from Jackson, Tenn., drew the unenviable leadoff slot, and after coming up empty with the wood, he ripped the first of 271 total home runs in the showcase, a line drive to left-center field that narrowly cleared the fence. Overbey totaled three homers to set the early pace, and was matched in the lead by Tyler Garrone (Pennsylvania) and Adam Walker II (Wisconsin), before Ryan Gunhouse (Texas) broke out with 10 home runs, including two with his wooden bat. Matthew Kirkland (Tennessee) managed only three homers in all, but he hit the first of 16 homers to reach the upper deck in left field, and the first of 21 balls to hit a catwalk during the event. Brett Sanders, representing Canada, racked up seven home runs to jump into second place, including a 408-foot home run with his wooden bat (tied for the longest wood bat homer of the event), and a 478-foot blast with his metal bat to deep left-center field that would stand up as the longest of the event for more than eight hours, although not all the way to the end. Jacob Mayers (Virginia) knocked three balls over the fence with his wooden bat, and a total of seven, to move into a tie for second place. Christian Walker (Pennsylvania) followed with three wood bat homers, and seven more with the metal bat, to move into a tie for the lead; his 10 home runs included a 468-footer to the upper level of the Power Alley Pub in deep center field. Miles Head (Georgia) knocked nine homers to gain a place in the top five. Tommy Joseph (Arizona) crushed three home runs in his metal bat round that traveled more than 450 feet, including two to the upper deck and another 465-foot drive that hit the U.S. flag hanging in deep left-center field some 75 feet above field level. Dante Bichette (Florida), son of the eponymous former major leaguer, showed off his sweet swing by hitting two wood bat homers and nine more with the metal for a total of 11, to take the lead. Corey Davis (Georgia) got off to a slow start, but in the second half of his metal bat round, he ripped five long homers, including shots of 468, 464 and 455 feet. Jayce Boyd (Florida) tallied nine home runs, and Matt Conway (Michigan) smashed eight that averaged 435 feet. After several more hitters took their turns, Randal Grichuk (Texas) forged into the lead with 12 homers, including two catwalk shots and four balls that reached the upper deck. His longest ball came off the bat at just over 122 mph, covered 477 feet and hit the “Fast news you can use” sign above the Party Deck just inside the left field foul pole. Cody Geyer (North Carolina) and Chris Marconcini (Tennessee) each totaled seven homers, and Josh Leyland (California) launched a 472-foot rocket onto the roof of the restaurant in center field, but no other hitters were able to crack the top five until Nevada’s Bryce Harper took his turn. •	477 feet to right-center field, halfway up and a few feet to the left of the Jumbotron; 119 mph. Harper hit 11 homers in all, enough to make the top five and join Gunhouse, Walker, Bichette and Grichuk in the finals. Walker led off with nine homers, and Gunhouse followed with eight. Harper, third, was able to hit only one more ball out. He looked worn out, understandably so since he had the misfortune to have hit 67th out of 69 batters, and had only a few minutes to recover before the finals. Grichuk hit fourth and scored eight homers including a 454-foot bomb, longest of the finals. Bichette hit last and scored four long balls, but when his last out landed on the warning track just short of the 370 sign in left field, the clock read 9:17 p.m. and Christian Walker had become the 2009 Power Showcase champion. The format of the Showcase provided an excellent opportunity to quantify the difference between power hitting with metal bats and wooden bats, since each hitter got 10 outs with wood and 15 with metal. The fact that each player started with wood and then switched to metal is not ideal, from a scientific standpoint, because the data could be biased due to the players being more warmed up for the metal round, or more fatigued in the metal round. However, because the players batted in groups of three, with time between their wood and metal rounds, both of these potential biases should be reduced. The most obvious comparison method is average distance with wood vs. average distance with metal. The 30 wood bat homers averaged 373.1 feet, while the 230 metal bat homers that were measured averaged 408.1 feet (a few catwalk homers have not yet been analyzed). That’s a difference of 35 feet, or about 9.4 percent. A similar comparison of speed off the bat yields 100.6 mph for wood, and 108.9 mph for metal bats, a difference of 8.3 mph, or 8.3 percent. The small sample size for wood bat homers means that there remains a lot of uncertainty in the “translation factor” from wood to metal bats, but knocking roughly 10 percent off the distance of a home run hit by a high school or college slugger can provide a good rough estimate of how far it might have gone with a wooden bat. For line drives that don’t clear the fence, knocking off about 8 percent of the speed off bat will give a reasonable wooden bat estimate. The International Power Showcase was a resounding success in 2009, and we certainly can look forward to watching another collection of outstanding high school sluggers swing for the fences in 2010. 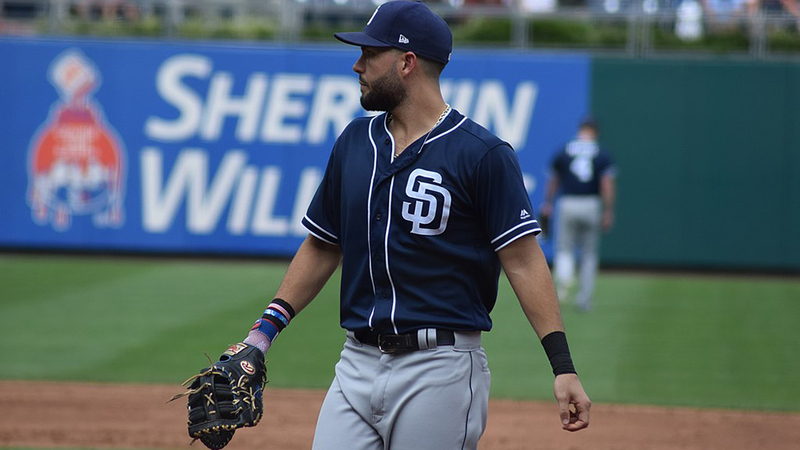 If Domenico has his way, perhaps next year’s event might be rotated to another warm-weather ballpark such as Chase Field or Minute Maid Park, and perhaps baseball fans will be able to watch it on television. Either way, your best chance to see the future sluggers of the major leagues “before they were famous” will be in the 2010 International Power Showcase.